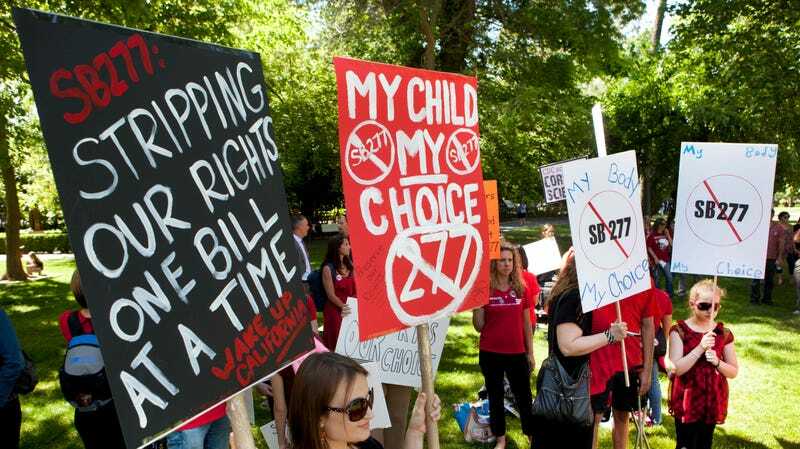 Protestors against California’s the mandatory vaccination bill SB277, 2015. A new study out of the UK by the Royal Society for Public Health has found that fully half of parents with young children are being exposed to anti-vax misinformation on social media. Great! That’s great. Here is where I encourage parents of very young children to, whenever possible, stay off social media, anyway. Before you know it you are 12 threads deep on a breastfeeding forum with people talking about off-label drugs that can increase your milk supply. Stick to your group text and your Netflix! Save yourself!